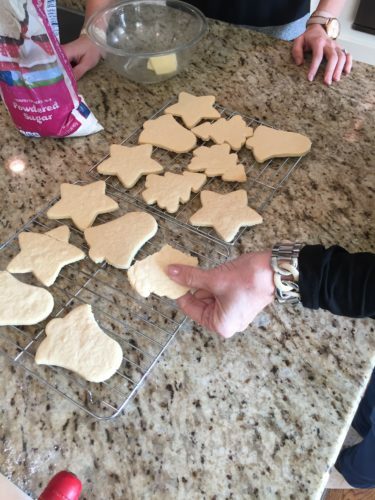 Do you make Christmas cookies with your family? It’s one of our favorite traditions. I’m inviting you into my kitchen this afternoon to join Laura and me in cookie making. This year is a little different than the days of all 6 of our kids crowded in the kitchen to make Christmas cookies. But it’s still fun to reminisce. And the cookies are so yummy and beautiful that I’ll take any excuse to whip these up. 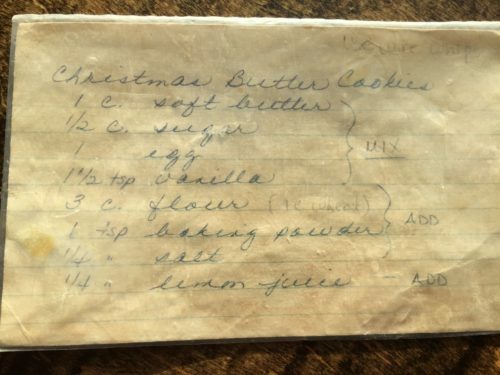 Here’s the Christmas cookie recipe, straight from my 91-year-old mom’s kitchen, so that you can enjoy this tradition with your family too. Beat these together well with mixer. Add dry ingredients, mixing well. Wrap in waxed paper or plastic wrap and chill at least one hour. Roll to 1/8 to 1/4 inch thick on a lightly floured or powdered sugared board. Cut in shapes. Bake at 350 to 375 about 8 minutes. But watch carefully. They should not get brown. Add sugar to butter about ½ cup at a time and alternate with mild until the right consistency. Frost Christmas cookies. And here’s the bonus recipe. Mix together butter and cream cheese, then add flour and mix well. Form into a ball. Refrigerate until firm. Then divide and shape into 2 dozen small balls and press into mini cupcake pans for the crust. Bake 325 for 25 minutes. Makes 2 dozen. 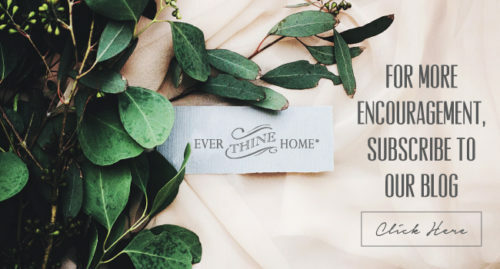 For more Christmas encouragement check out my thoughts on Santa, my advice on holidays with your in-laws, and ideas on worshipping Jesus through His many names. The cookies turned out delicious! I wish we could have gotten a picture though…too many bottoms in the kitchen! Two daughters, 1 future son-in-law, 1 girlfriend, 1 son and my husband…WOW! Merry Christmas to all the Raineys from all the Johnsons! I noticed that too. Did you make them with the lemon juice? Thoroughly enjoyed your fb video! Thanks for taking the time to give us a look around your home and inside a sweet tradition! My adult girls and I had thought we would try to start this as a new tradition since Christmas is on Sunday and our plans shuffled around a bit. So happy to have a simple recipe to use now! Thanks again and yall have a very Merry Christmas! Thanks for watching. I’m excited to hear you’ll be baking with your girls this weekend! You’ll have to let me know how the cookies turn out. I’d love to see a picture! Merry Christmas! Quick question… Trying to get all the ingredients today for the cookies. Do y’all not use the lemon juice that’s on your mom’s recipe? 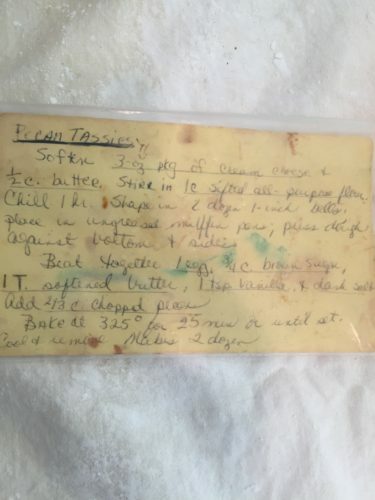 Oh and about how many cookies does this recipe make? ← Why do names Matter?